CSM Bakery is an Atlanta baked goods company that produces cookies, cakes, icing, batters and more. Their property is divided into several small plants, each with its own production line and wastewater treatment facility. In 2012, due to a poor original foundation design, the floor of one of CSM Bakery’s bolted epoxy wastewater tanks sprung a leak. In this difficult situation, CSM reached out to Southeastern Tank for help. When the leak sprung, the law required CSM to take the tank offline immediately until it could be repaired. Time was of the utmost importance. 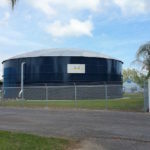 Shutting down production for even a day would have financial repercussions and a temporary tanker had to be brought in to maintain wastewater treatment and keep the facility running. SET needed to help get the plant back to normal operations and no longer relying on the portable solution as quickly as humanly possible. 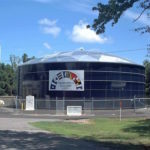 The Southeastern Tank team noted that the 12-year-old tank was showing its age, given its daily exposure to harsh wastewater treatment. 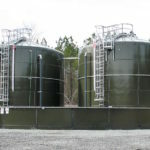 Repair – To properly repair the problem, the sidewalls of the tank would need to be lifted, the old floor removed, the stone subgrade replaced and finally, the new floor installed, then the entire structure reassembled Repair was the less costly option, though it came with some challenges. 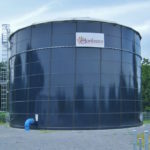 Replace – Replace the entire tank. In this situation, a key benefit for CSM – and the clock! – was that SET could provide an exact replica of the original epoxy tanks since we had the manufacturing drawings. Replacing the tank would be more expensive to install, but would ultimately solve the leak and foundation issue at the same time. CSM Bakery chose the replacement option immediately. Every company chooses their tank solution based on their unique circumstances. For CSM Bakery, time and money were the driving forces of their purchase decision. 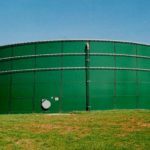 In choosing a new epoxy tank, not only was the organization able to ensure their tank problems vanished and operations were back on track as quickly as possible, they offset their initial investment with depreciation-related tax benefits. Shortly thereafter, CSM needed to repair a second leaking wastewater tank. The circumstances were nearly identical to the first leak, though the situation was not as dire and work could be conducted during a previously-scheduled plant shutdown. CSM Bakery once again chose to replace the tank and take a tax write-down. 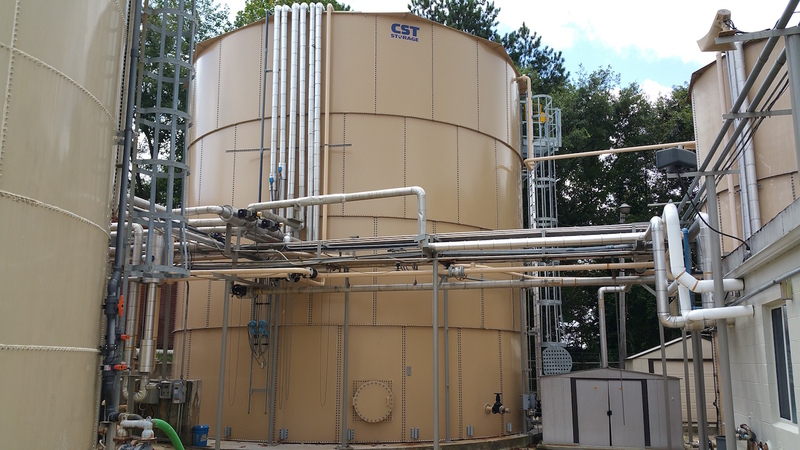 With Southeastern Tank, CSM Bakery had a partner who understood their needs and constraints, developed the right solution, and coordinated the entire process to ensure that the tank was installed quickly. They had a partner who cared.